Providing For ALL Learners in General Education Classrooms Help ALL students reach the language arts standards! This video and teacher guide will help you reach the standards for all using Kagan Cooperative Learning Structures. 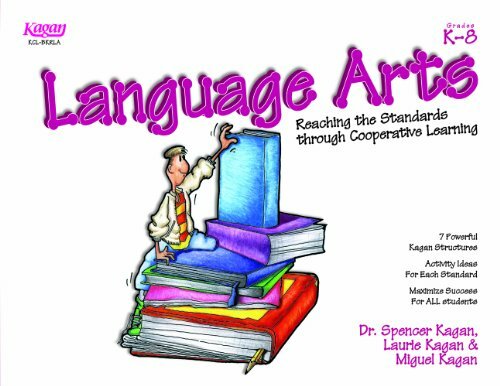 In the video, Dr. Spencer and Laurie Kagan take us on a tour of a range of elementary school classrooms using the Kagan Structures to reach the language arts standards. The teacher guide includes chapters on the language arts standards, cooperative learning, reaching the standards for students with disabilities, reaching the standards for second language learners, and reaching the standards through multiple intelligences. The teacher guide highlights the structures previewed in the video and includes step-by-step directions, special adaptations for special populations, and literally hundreds of activity ideas for using the structures to reach the language arts standards. Many structures even include ready-to-use, blackline masters from the video activities. View More In Catalogs & Directories. If you have any questions about this product by Kagan Cooperative Learning, contact us by completing and submitting the form below. If you are looking for a specif part number, please include it with your message.